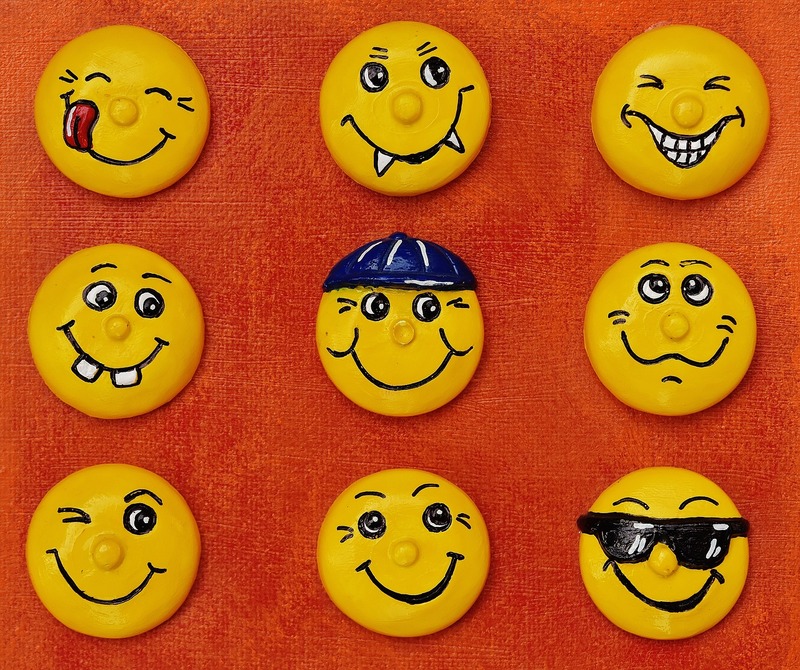 Emoticons become ever more prevalent in the text-based communications of today, giving context for written communication such as emails, texts and online forum posts. Just as facial expressions and body language do in personal interactions, these animations serve a similar purpose. If a business or brand intends to succeed in their messaging across cultural and geographic borders, a global translator should be employed so all cultural nuances come across as intended, including emoticons. Just as you would enlist a translation professional for filing and obtaining a patent, so too are linguistic and cultural nuances necessary when considering how emoticons come across to a native audience. The two original emoticons 🙂 and 🙁 are credited to Scott Fahlman, a computer scientist at America’s Carnegie Mellon University in 1982, who created these simple symbols to help professors and peers differentiate between humorous and serious posts on the university’s online bulletin boards and avoid ‘flame wars’. Decades later, we have more than 15,000 different emoticons to choose from to aid us in understanding each other better, many of which require interpretation to retain understanding across borders. Just as different cultures write from left to right, right to left, and vertically, emoticons are read in a different way depending on the nationality. There are two styles of emoticons: Horizontal, like those created by Scott Fahlman, which read from left to right and commonly used in Western cultures; vertical emoticons (read from top to bottom), which are more popular in East Asian countries. It should be recognized, however, that text direction of the local written language is not always indicative of how emoticons are used. 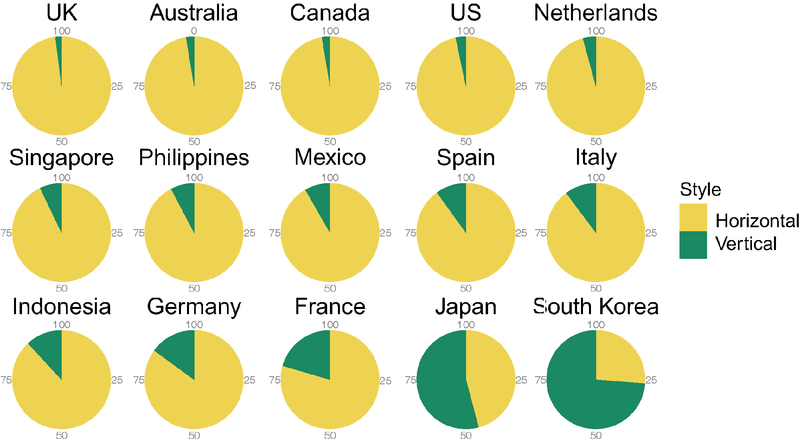 Some studies show that a country’s spoken language has a greater impact on emoticon use than text direction. For example, Twitter use in the Philippines and Indonesia, where English is the dominant spoken language favors horizontal emoticons. Horizontal emoticons often feel more natural to Western nations not only due to text direction, but also in keeping with the part of the face used to interpret emotional cues. With this style of emoticon, the emphasis is placed on the shape of the mouth, which is often used with an inexpressive colon to represent eyes. Alternately, Eastern nations focus on a person’s eyes to interpret emotional expression. Ss a result, the vertical style of emoticon emphasizes this practice with a variety of symbols used to imitate eye shape. The mouth, meanwhile, is represented with a simple underscore, or left out entirely. Masaki Yuki, a behavioral scientist at Hokkaido University in Japan, released his paper ‘Are the windows to the soul the same in East and West?’ in 2007, in which he discussed the influence of cultural background on the way facial expressions are used to display emotion. In it, he asserts that Americans are influenced by a culture of independence, emotional openness and overt self-expression. As the mouth is the most dexterous part of the face for conveying expression, smiles and frowns have a central role in daily American contact. The use of a smile indicates politeness and in hospitality situations, the size of a smile often directly impacts a customer’s rating of their experience and the size of the tip that is left. Dissimilarly, East Asian populations such as Japan, China and Korea place higher importance on the use of the eyes in daily interactions. Yuki claims these countries have a higher regard for humility, and are ‘collectivistic and interdependent’. “It is more important for emotional expressions to be controlled and subdued, and a relative absence of affect is considered crucial for maintaining harmonious relationships,” Yuki says. Subsequently, smiles and frowns are rare in countries like Japan where people look at the eyes to interpret emotional cues. Two styles of emoticons have come about to support the cultural differences between West and East. Just as horizontal emoticons allow Westerners to focus attention on mouths, vertical emoticons allow easterners to focus on eyes. When translating content, it is crucial that cultural differences are addressed. That means not only translating words correctly, but also that emoticons should be contextualized, too. A professional language service provider is well-versed in localization strategies. They are able to portray all aspects of a brand accurately abroad, whether that be images, text, or emoticons.